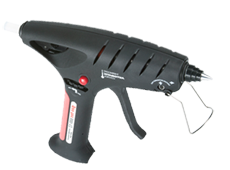 For numerous amount of everyday products that we all use industrial adhesives are processed. We distribute the following product groups. •	Based on EVA/Poleolefines, polyamide and POLYURETHANE. •	Applied for e.g. AGF-trays, consumer packaging and display assembly. 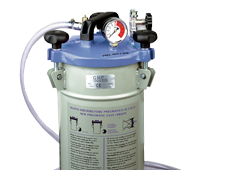 •	Processable in several polishing applications. In it we can recommend you most warmly, with equipment coming from sound producers. •	Available as stick ø 12 mm., ø 43 mm. slugs, granular and blocs of the self-adhesive glue types. Paper and paperboard gluing are there corresponding adhesives developed. Gluing is applicable for making cores and edge protectors. The lamination of offset paper on wave and microwave for making displays! 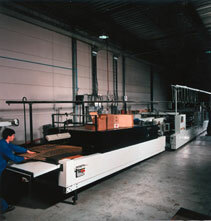 Other applications include the production of paper bags (industrial and Consumer bags). 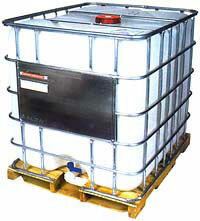 -	Container IBC 500-1000 kg. Many factors have/affect the connection process. "The rate" or success depends on the performance of the glue, looked at the amount of yield, ease of maintenance, labour costs, loss of product, environmental aspects and logistical possibilities! By "fine tuning" and integrating all of these factors is the road to success is guaranteed. Gluepartner likes to be your partner. By ever new deck and insulation materials to apply in the market of the sandwich panels, ask this to be a professional and flexible approach. Continuous knowledge up-to-date. The base for this comes from many product developments. There is an extensive assortment of one-and two-component PU glue each with a specific performance. Glue suitable for different deck materials. Whether or not coated or varnished, primered, alu/steel/wood/Fireboard/plasterboard/PVC etc. to attach to insulationmaterials as PUR/PIR/PS/PE and PVC foam. Also materials such as stone and glass wool and honeycomb we close. 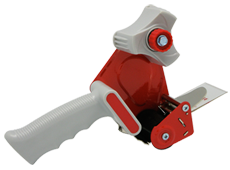 If supplementary products, it is also possible elastic sealants in the edge profiles of held together and plasticparts etc.. Glue partner delivers not just the glue, but also offers expert advice, if necessary, for your production. Counting in glue type, application method and machine. Our product specialist gladly advices you. Delivery of the glue is possible in 25 kg. cans, 200 litres drums and 1000 kg. IBC containers. For the adhesive sealants there is a possibility to deliver cartridges 290 ml. and 600 ml sausages. To prevent unnecessary packaging disposal we deliver in drums with inliners and return in exchange containers! There is also taken into account the presence of solvents, this results in a healthy workplace and saving the environment. Our challenge lies in finding an effective together glue solution. It is intended to reduce your costs and transform into income. 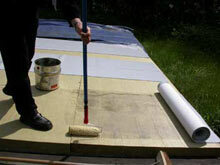 By gluing on flat roofs, it may be more efficient and cheaper to work on the roof. Extra is the optimum insulated roof and a stronger construction! To achieve this is to process a one component PU glue the outcome. Applicable for almost all at the moment applied/processed insulation materials.